Chelsea legend Tommy Langley has admitted he was thrilled with the Blues' performance in the opening two and a half minutes at the Etihad Stadium, before it all fell apart. 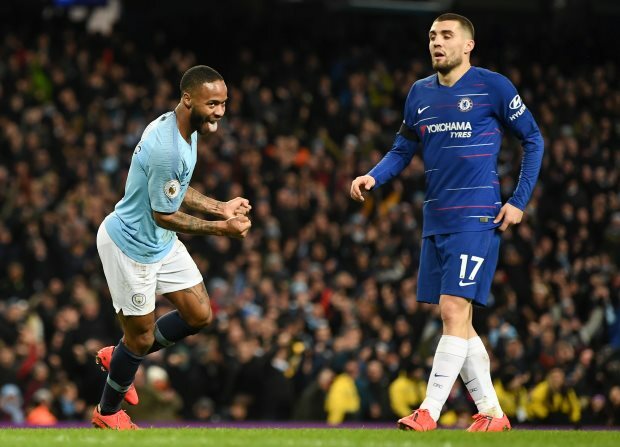 The Blues were hoping to spring a surprise on Pep Guardiola's Manchester City side, but conceded after four minutes and were overrun, ultimately walking off the pitch at full-time on the end of a 6-0 hiding. For Langley, until Chelsea made a big mistake for Manchester City's opener, it had looked like the Blues were on top of the hosts and set for a big evening. Langley said on Chelsea TV: "For two and a half minutes I was so enthused. I just felt we started the game on the front foot, we squeeze up high. "It looked as though we would upset the quality of their play. "Kevin De Bruyne gets the wrong side of Jorginho, we gave a free kick away, and the reaction from the free kick was scandalous. Individuals, they know who they are. "I don't know what the defenders felt they were doing. "Then we find ourselves 1-0 down when we had been the better team. "After that it just became a comedy of errors, individual, as a team", Langley added. Chelsea have now not scored a goal on the road in 2019 and badly need to regain form if they are to mount a serious challenge to finish in the Premier League's top four. The Blues have been beaten by Tottenham, Arsenal, Bournemouth and Manchester City away from home in 2019. Next up is an away trip in the Europa League, to Swedish side Malmo.